The Llangollen Motorcycle Festival will be back for a FIFTH great year on August 3 & 4 2019. 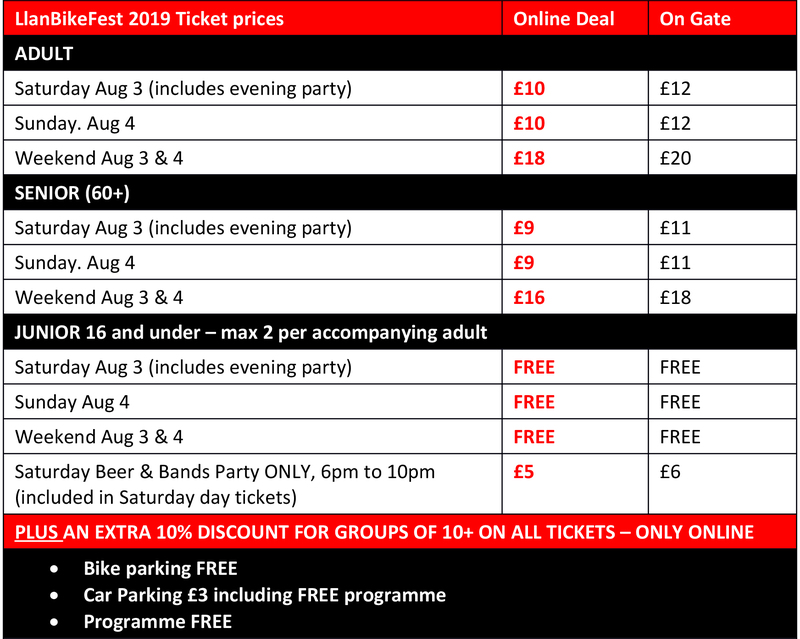 2019 TICKETS ON SALE NOW – CLICK TO BOOK ON EVENTBRITE! 2019 BOOKING FORMS ARE LIVE! 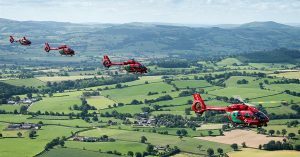 NEWS FLASH: LlanBikeFest supporters raise £4,731.38 for Wales Air Ambo! Thanks to everyone who supported the Llangollen Motorcycle Festival in 2015, 2016, 2017 & 2018. We hope to see you again in August 2019! 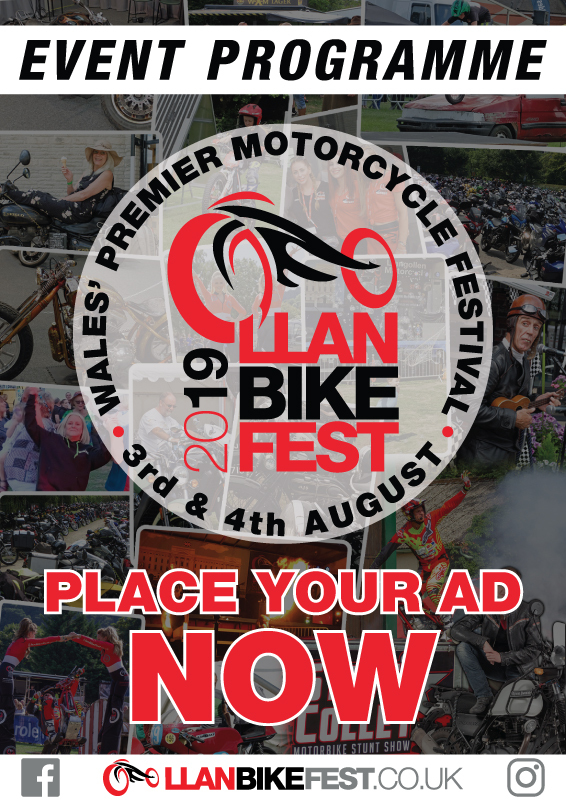 The LlanBikeFest Organisers would also like to thank all the Friends and Volunteers who help us put on this great weekend event. Without them the Festival wouldn’t go ahead. So a Massive Shout out to all of you!! We hope you will continue to support us. If you would like to volunteer or see if there is anything you could do to get involved please contact us. Thanks. The Event Programme will be given out FREE to every paying customer through the gates over the weekend including all our Exhibitors, Clubs and Traders.